I'm so happy that I still have so much Jamaican jerk seasoning. 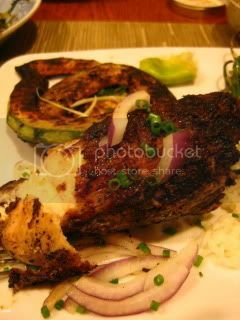 So, I marinated bone-in Jidori chicken breast (from McCall's Meat & Fish) in the seasoning over night. 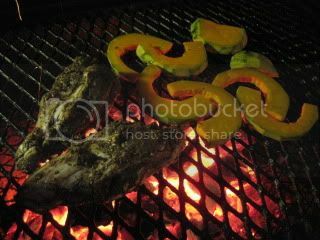 And, grilled on Santa Maria BBQ Grill with some more kabocha. 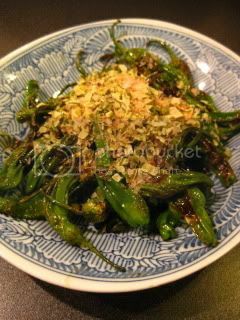 I also grilled some shishito peppers...they were simply drizzled with tamari soy sauce once finished and sprinkled with the mixture of shaved bonito and kombu flakes. 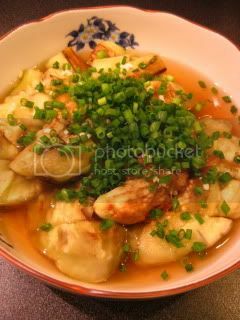 Another side dish was grilled and peeled Japanese eggplant in light dashi broth. Chicken was so juicy and succulent. We also had donabe rice and donabe miso soup. 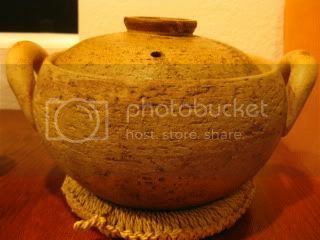 The miso soup was cooked in soup & stew donabe, "Miso-shiru Nabe". 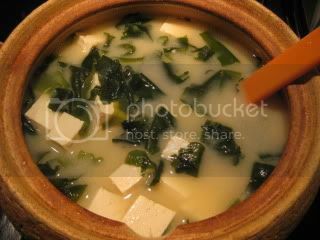 I made a very standard tofu & wakame seaweed miso soup, and it was just so comforting.